Joey Chesnut Ain’t Got Nothing On Me! There is something wonderful about staying in your pajamas all day long, curled up under a cozy blanket (which is even better when the rain is pouring down outside), getting lost in the pages of a book with a mug of tea or hot cocoa steaming on the bedside table. Here are ten books that I remember completing in a day (or just a tad over), and you can see by reading over it that I’m not choosy when it comes to gorging myself on words like it’s some literary variation on the Nathan’s International Hot Dog Eating Contest! Catching Fire by Suzanne Collins—I did read this one over the better part of an afternoon and evening. 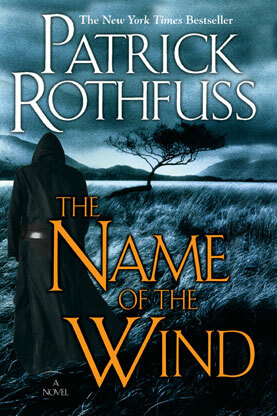 It’s quite simply the best book of the trilogy. In fact, I’d go so far as to say that had they trimmed Mockingjay and tagged it onto the back of this one, the entire series would have been much better for it. Full of action, drama, and true surprises, this is one book I can’t wait to see make the transition to film! 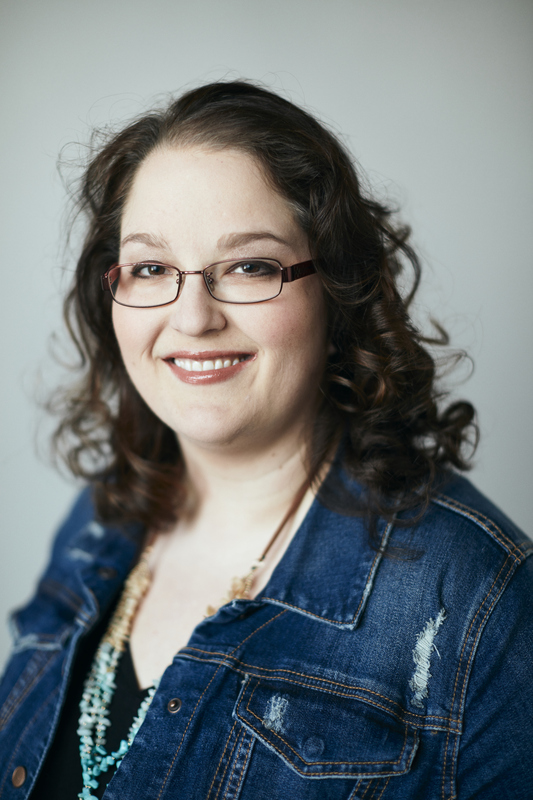 The Secret History of the Pink Carnation by Lauren Willig—I am embarrassed to say I read this book. (In fact, I guiltily gobbled it and two or three other books in the series down like a binge eater, crying in shame and shoveling it down at the same time.) My only excuse was that I was going through a Scarlet Pimpernel kick at the time, and this book provided access to the world in an obtuse sort of way. I mean, Sir Percy was an ancillary character in the first book. Essentially, this is chick romance/action at it’s best and worst, and until an intervention took place, I was entrenched in it. Frankenstein: Prodigal Son by Dean Koontz—The series took a weird turn or two that I wasn’t expecting, and I wasn’t totally thrilled with the ending. However, the first book in the Frankenstein series by Dean Koontz was fabulous! It totally changed up the monster narrative we all know and love. The “creature” renames himself Deucalion and devotes his long (if not eternal) life to destroying the master who built him and who is, several hundred years later, as power hungry and maniacal as ever. Set in New Orleans with two wise-cracking cops, this was a fun and wild read I tore through in one day on a particularly long car trip. 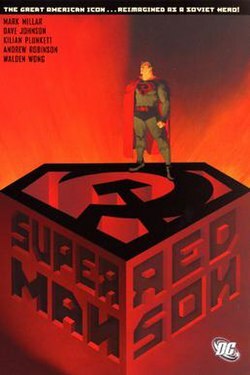 Superman: Red Son by Mark Millar—My graphic novel inclusion for this list is an alternate-universe three-issue series that explored a simple idea—what if Superman’s capsule had landed on a collective farm in Soviet Russia instead of the Heartland of America? What would have been different in the DC universe (and the world at large) if he fought not for “truth, justice, and the American way” but “as the Champion of the common worker who fights a never-ending battle for Stalin, socialism, and the international expansion of the Warsaw Pact.” A fascinating read with great art and a tight narrative. Cry to Heaven by Anne Rice—I read this when I was living on my own in a crappy efficient apartment during my first semester in college. I curled up in my Murphy Bed and read until the sun came up. I was so fascinated with the concept of the Italian opera starts know as the castrati that I did hours of research (the old fashioned way—with books, a card catalog, stacks, and microfiche!! There were fewer academic wimps back in the day.) I wrote my ENG 1101 research paper on them and argued that they had played a larger role in the development of Italian opera than had previously been recognized. My professor said it was a welcome change from the papers on legalizing pot, gun control, and animal testing. 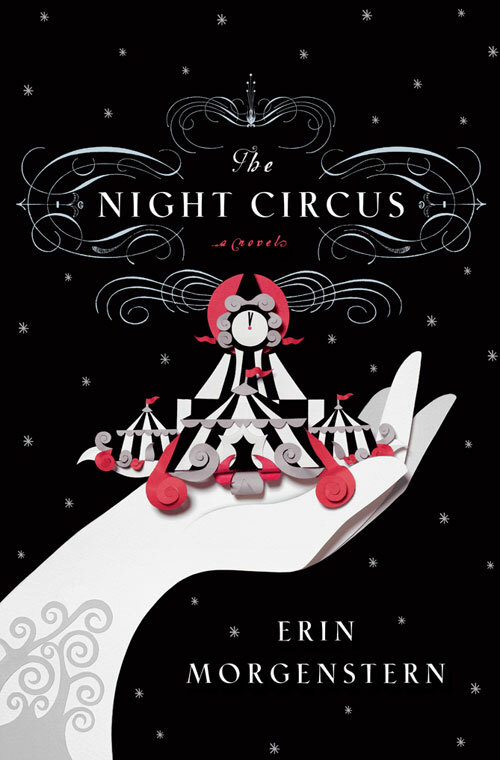 The Night Circus by Erin Morgenstern—I was hooked by this one and read it in just a shade over a day. There was something magical about it, something otherworldly that just sucked me in. I was like the circus devotees, and I wanted to spend my life finding it and spending time within it. Morgenstern may not be the best writer in the world, but she’s a darned good one who isn’t afraid to color outside the lines to create compelling characters and an engaging story that, despite being impossible, makes you wish it was altogether real. Passing by Nella Larsen—I read this one in grad school and loved it. We were supposed to read it over a two week period, dividing it in half, but I couldn’t wait. This one tells the story of Clare and Irene, two African American girls who were friends but lost touch after Clare’s father died. She went on to live with her two white aunts who let her “pass” for while and marry a white man who also happens to be a raving racist. Irene lives in Harlem and is committed to fighting for the cause of equality. The books is wonderfully ambiguous and lets readers interpret the actions in whatever way they choose. I wouldn’t want to rob you of the joy of it by telling you what I thought. Go pick it up! How about you all? What books did you indulge in for a full twenty-four hours? 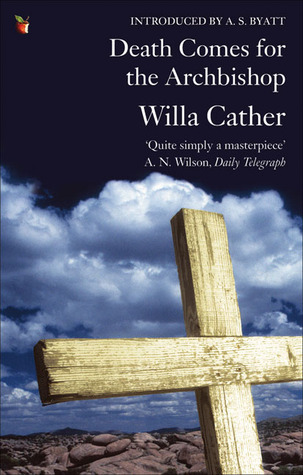 Is there a book you’ve been wanting to lock yourself in an attic with dripping candles and an apple to read? I think I mighta cried a little when I finished Red Son; such a brilliant use of the DC mythology. I might have to fight you on Catching Fire though. I mean, the action certainly bogged down the book especially at the end but I do believe another book was needed to drive in the metaphor of what District 13 was -the other side of the “Coin” if you will. There were parts of Mockingjay that were very much necessary, but on the whole, the ending of that book made the book have a “ho hum,” unsatisfying ending it didn’t deserve. They just didn’t edit that last book very well at all. It could have been so much more! Oh, see I loved the ending and thought most of the rest of it dragged. For me, because all the symbols and archetypes (Snow and Coin as evil step-parents, Peeta as Sleeping Beauty, Gale as wrath and Peeta as hope) interacted the way they did, it made more a much more fascinating read than the first two. It make me want the safer times of Catching Fire and Hunger Games and any time an author can make you wish for a simpler time in a story is a mark of good writing. Very interesting. 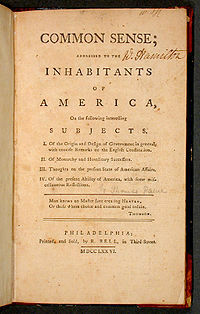 I might have to re-read it looking at it from a fresh perspective. Thanks for the insight! I read Night Circus recently and LOVED it as well. And I adored the entire series of Dean Koontz’s Frankenstein. I’ll give you a hint (for those who have NOT read these books!) — the Monster AIN’T the bad guy!!! 🙂 I’ve also fallen in love with a series by Kevin Hearne called the Iron Druid Series. There are 3 available right now — “Hounded”, “Hexed”, and “Hammered”. “Tricked” is due out in another week or two. The main character is a 2000-year-old druid — the last of his kind, and he is constantly running into gods and demigods, witches, vampires, and werewolves. Life is never boring, that’s for certain! But Kevin writes with such humor and wit, the pages fly by! I might have to try those druid books. That sounds interesting! Ahhh! I love that you added the Neverending Story video on at the end! 🙂 I feel like I should be ashamed I’ve never read Common Sense. This sentence: “I don’t know about you, but if I’d read this work sooner in my life, I might have been much better off” might be all of the convincing I need! By the way, I am in total agreement about Catching Fire. It was hands-down my favorite in the trilogy, and I am filled to the brim with excited anticipation over the film! So glad you enjoyed my silliness and that you liked it enough to leave a comment. I shall endeavor to return the favor soon!